undeletesoftware.org provides various kinds of data undelete software to recover deleted data from hard drive, sim card, USB drive, memory card, digital camera, mobile phone, USB digital media and other data storage devices of all capacity. 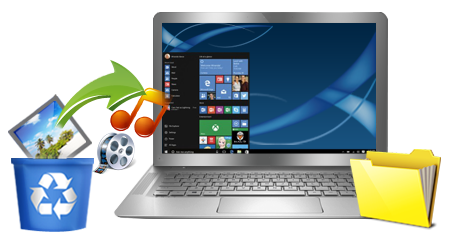 Software recovers deleted pictures, photos, video clips, audios, text files and other important data from hard disk and USB removable media. Data Undelete Software – Professional helps you to recover deleted or lost data files from computer hard disk and different types of removable storage devices. Program is fully capable to retrieve entire lost data due to hard drive corruption, formatting or virus attack. NTFS Hard Disk Undelete Software allows you to recover lost or accidentally deleted data from NTFS partitioned hard disk drives. NTFS Data Undelete program retrieves deleted, damaged or lost data due to power failure, software corruption or directory deletion. FAT Hard Disk Undelete Software is specially designed and developed for recovering deleted, lost or damaged data due to format errors from hard disk partitioned with FAT file system. File Undelete program uses advanced disk scanning techniques to solve your all types of data loss problems. Digital Photo Undelete Software empowers you to recover lost, missing, damaged or deleted photos from computer hard disk drives and removable storage devices. Software easily scans your storage devices and retrieves all lost pictures, snaps and images from different data storage media. Android Data Undelete Software helps you to recover deleted data from android mobile phones, tablet pc and other android devices. Program restores lost digital photos, pictures, documents, emails, mp3/mp4 files, folders, snaps and other valuable data using different search recovery algorithms. Memory Card Undelete Software provides solution to get back all deleted pictures, snaps, audio and video files from memory card storage media. Software works on all types of memory cards like compact flash card, multimedia card, secure digital card, xD picture card and other types of memory cards. Pen Drive Undelete Software retrieves deleted pictures, text files, images, audios, videos, etc from formatted or corrupted pen drives storage media. Software supports different pen drive manufacturers like transcend, Kingston, SanDisk, Sony and other popular brands. Mobile Phone Undelete Software recovers deleted or lost data from various kinds of cell phone. Software restores lost files using different search recovery techniques. Mobile Phone Recovery program successfully recovers deleted data in all major data loss scenarios without any data damage.